Limbo / Children of the Night. 2013. HD. - 29 Января 2018 - KinoSalon. Главная » 2018 » Январь » 29 » Limbo / Children of the Night. 2013. HD. 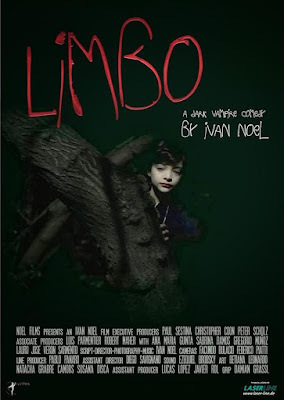 Limbo is a secluded colony of child-vampires who are anything between 4 and 120 years old, all having all been victims of 'shameless' adult vampires. They are led by a formidable and deeply religious old ex-nurse whose destiny in life is to find these 'lost souls', and bring them of age in her colony. Through teaching, religious rituals adapted from the Catholic faith, and the occasional visit to local towns for blood, she is preparing them for what God had in mind for them: the replacement old the common and 'deeply sinful' human, and the creation a new race of men through 'natural cloning', or in more lay terms, their infection by her children. But they are not the only such colony in the world, nor are they as 'secluded' from outside threats as they think. Cast: Ana María Giunta, Toto Muñoz, Sabrina Ramos, Lauro Veron, Ivanser Tzeles, Romano Robaudi, Maxii Leporee. Download Limbo / Children of the Night.